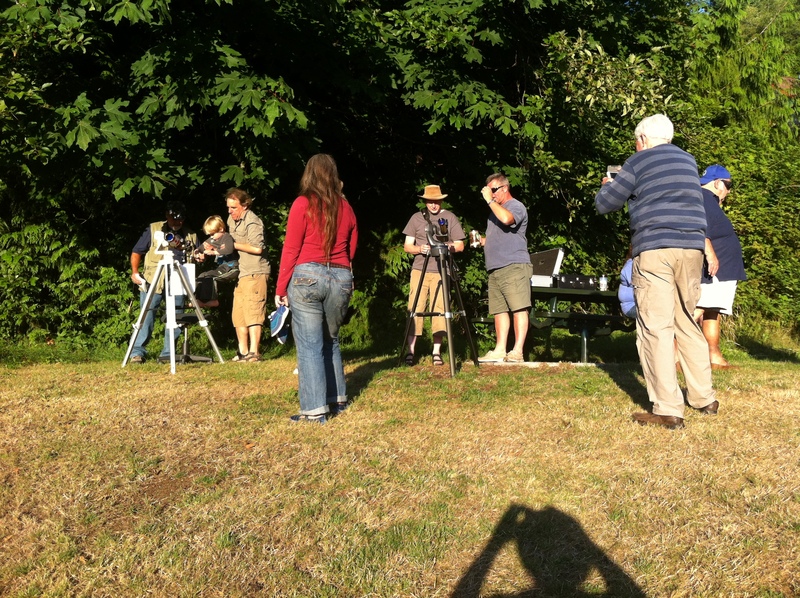 Weather permitting, the Sandy Hook Star Party starts at 7:30 PM on Saturday, July 18. 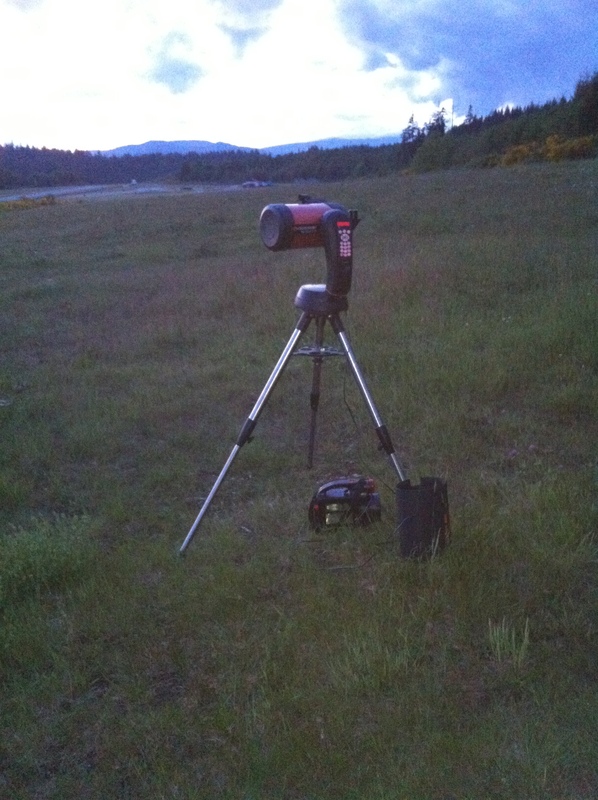 The SCC RASC will set up solar scopes for viewing flares and sun spots. 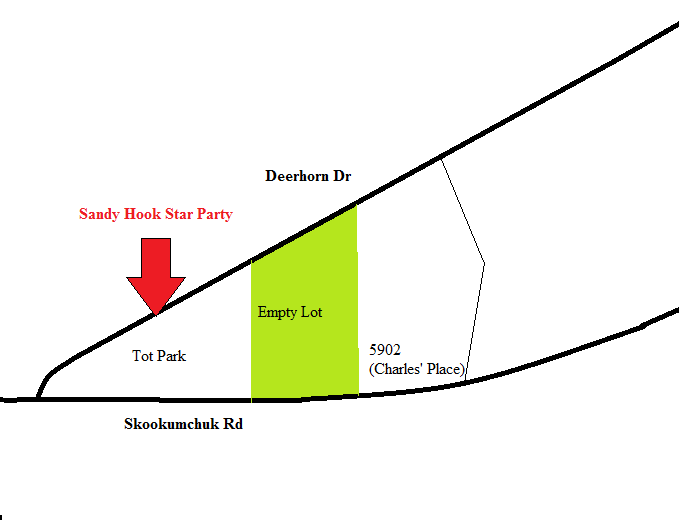 The night scopes will be set up by sunset at 9 PM at Tot Park (5916 Skookumchuk Rd) which is at the corner of Deerhorn Dr and Skookumchuk Rd (see map below). We encourage people to bring their own telescopes. If you don’t know how to use it, this is a good opportunity to find out how. Jupiter and Venus will be in a triangle with the crescent moon at sunset. Our president’s house is the other side of the empty lot from the park in case Centre members or residents need a washroom or refreshment. There is a new moon that night, so we’ll have dark sky for the event. This is the second time we’ve held this event. If you’re bringing flashlights, please bring red lenses in order to preserve our night vision. Weather permitting, the Sandy Hook Star Party starts at 7:30 PM when we set up solar scopes for viewing flares and sun spots. The night scopes will be set up by 9 PM (sunset is at 8:51) at Tot Park (5916 Skookumchuk Rd) which is at the corner of Deerhorn Dr and Skookumchuk Rd (see map below). My house is the other side of the empty lot from the park in case Centre members or residents need a washroom or refreshment. There is a new moon that night, so we’ll have dark sky for the event. This is the first time we’ve held this event, and if it is successful we may make it a yearly one. If you’re bringing flashlights, please bring red lenses in order to preserve our night vision.